1. Which technology is most appropriate for people living in areas with high water table, collapsing soil formation, pests infested areas etc? 2. 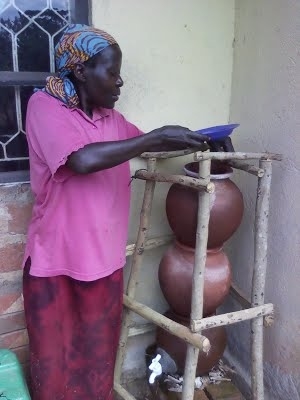 How can rural people access the low cost rainwater harvesting technologies? 3. What are the procedures to have a new technology approved for promotion in Uganda? 4. How do we address the problem of Iron in drinking water? 5. What are the best sanitation options for areas infested with termites? 6. What does it require for one to have a low cost rainwater harvesting system? 7. What is the best first flush option? 8. Why is first flush not common on rainwater harvesting systems in Uganda? 9. What are the common challenges to functionality of rainwater harvesting systems? 10.What should a technology promoter do to have his/her technology assessed with the TAF and registered by the ATC? 11. In case individuals or an organisation need tailor made training for a specific WatSan technology, what are the requirements?